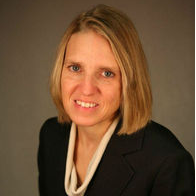 Karla Williams has worked at the University of Kansas for over 20 years, previously working as the Director of Financial Operations and Human Resources in the School of Business. As the Director in the College & Professional Schools Shared Service Center, Karla is responsible for cultivating an environment of customer service and providing customized support to the units served. Karla serves as a member of the College & Professional Schools Shared Services Advisory Board, which meets quarterly to evaluate how well the Shared Service Center is meeting its commitments to departments and units, and to quickly address any lapses in service. Karla maintains close connections to the Deans, Directors and Chairs of the units her Shared Service Center serves. Karla is also committed to the growth and development of her staff and works closely with the central departments to improve policy and coordinate training. Check out the incredible speaker line-up to see who will be joining Karla.